← Looking for Cinderella’s pumpkin, is it midnight yet? 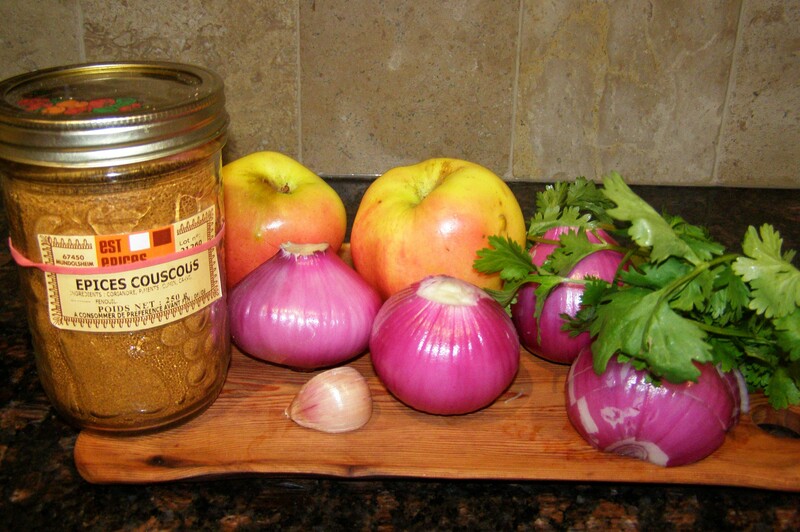 This entry was posted in Side, Vegetarian and tagged couscous spices, food, onion jam, onion relish, pink onion, recipe, recipes. Bookmark the permalink. 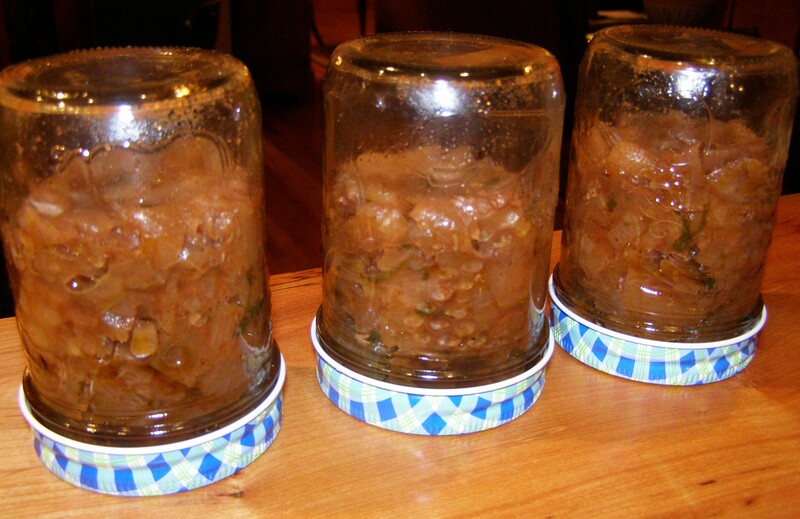 3 Responses to Pink onion and apple jam or is it relish? Hi …I’m sure I would love this relish. Where could I find Coucous spices without travelling to France! Also, I don’t have a pressure cooker, so could I make this and freeze it, keeping it in the refridgerator after opening? You can sterilize in a regular pot as well, 30 minutes after the boil should do it, or keep in the fridge for 10 days. Freezing will reduce the onion flavor. i can think of about 500 things I would put this on.